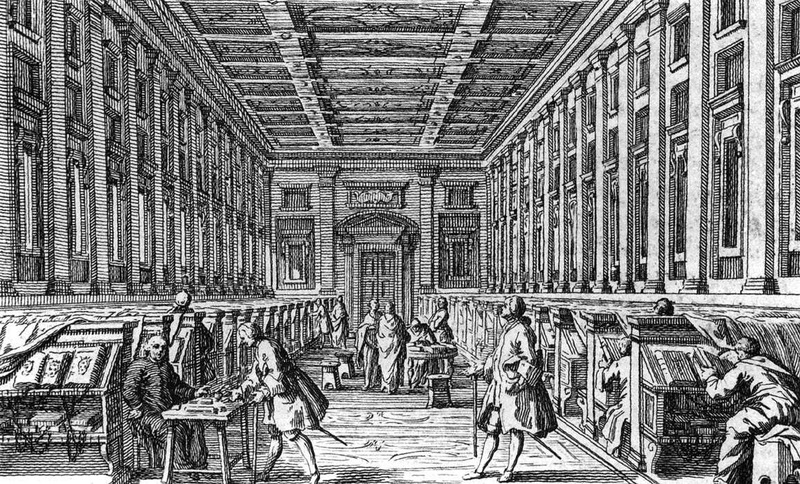 Francesco Bartolozzi, Laurentian Library in the 18th cent. But we need not look as far as the Laurentian, which was only a ten-minute walk from the Neri household. Closer to home, in fact inside his home, there was the extensive library of his own father. At the turn of the century, it contained 477 volumes, spanning poetry, philosophy, the Greek classics, medicine, pharmacology, surgery, religion, even grammar. We know this thanks to an inventory taken at the time of the physician’s death, leaving a list of titles that has survived the ages, even if the volumes themselves have long been dispersed or lost. 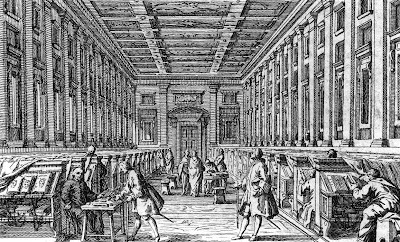 At the time, outside of the royal family, it was probably one of the largest collections of books in private hands in Florence. Neri’s father had himself been in charge of the revision of the Ricettario Fiorentino,  the gold standard of doctors and apothecaries throughout Europe for medicinal prescriptions, published in 1597 and again without revision in 1623. Domenichi who had been appointed court historian by Grand Duke Cosimo I de’ Medici, goes on in the sonnet to name a list of mutual friends that includes poets, playwrights and intellectuals of the day. In his twenties, after a couple of years of making glass in Florence, Neri moved to Pisa where he assisted at the Medici’s furnace run by Niccolò Sisti. Pisa was home to a thriving university, with ample study possibilities, and Neri was proving himself a life-long researcher. From Pisa, in early 1604 he embarked on a seven-year long residence in Antwerp, where he stayed with his friend Emmanuel Ximenes. Ximenes was one of the wealthiest men in Flanders and maintained an extensive library in his palace. He owned many volumes devoted to the chemical arts. In fact, his collection of books was probably the largest in the entire region. Here too, the full list of books is preserved in an inventory compiled after the death in 1617 of Emmanuel’s wife, Isabella da Vega. Upon Antonio’s return to Italy, he published his glassmaking recipes in L’Arte Vetraria and then appears to have focused his attention on chemistry and medicine. In the last manuscript he is known to have written, within a year of his death, he writes of a recipe copied “from an old book, here in Pisa” in 1613. In his manuscript Tesoro del Mondo devoted to “all of alchemy” (Neri 1598-1600) Neri self-identifies as a priest. Bartolomeo di Filippo di Niccolò Valori [il giovane] (1535–1606). He was keeper of the Laurentian, steward of the Medici herbal (simples) garden and an early director of the Accademia delle Arti del Disegno. He was a personal friend to Antonio Neri’s father and godfather to his first child (Antonio’s older sister) Lessandra. Neri, Benadù, Rosselli, Galletti 1597, 1623.
 . Garavelli 2004, p. 82, n. 186. Dupré, Lüthy 2011, p. 272; Göttler, Dupré 2009. * this post first appeared here on 31 Dec 2014.